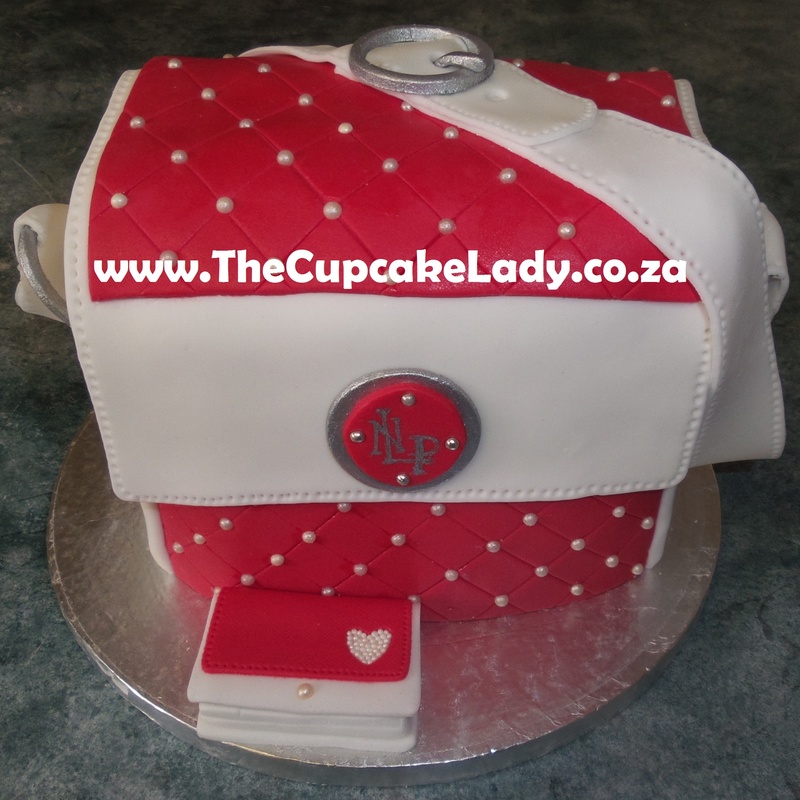 This handbag-shaped red velvet cake is filled with cream cheese icing, then covered with white sugar paste and decorated with red sugar paste and sugar pearls. 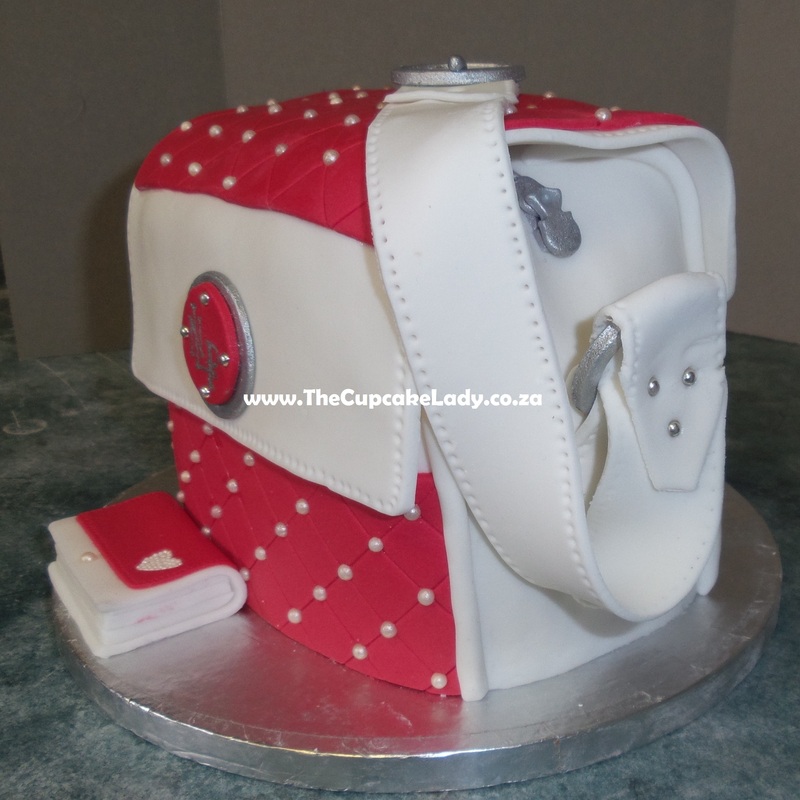 The buckle and rings on the strap are also made of sugar paste and painted silver. It even has a zip! 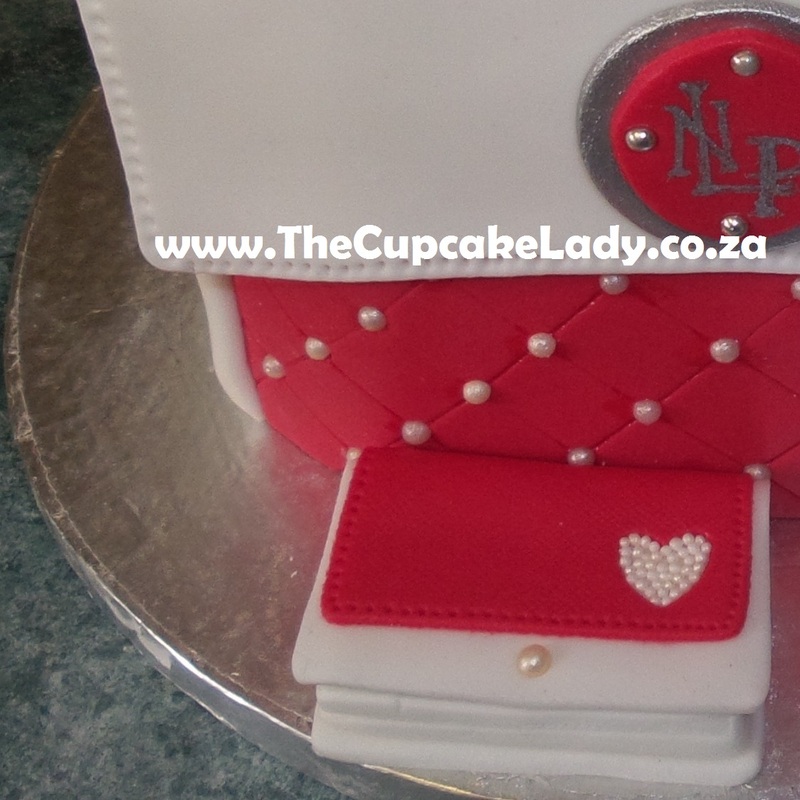 The “NPL” monogram is the birthday girls’ initials. The little matching purse is made purely of sugar paste. Apparently this cake went to Mpumalanga before half of it came back to Joburg, some went to the Vaal and some went to the Eastern Cape!